On May 24, 1844, Samuel F.B. Morse sent the first telegraph: "What hath God wrought?" The phrase, taken from the bible, was selected by the daughter of one of Morse’s friends. Since then, the way we communicate has evolved in leaps and bounds to the point where the device we (sometimes) use for phone calls can fit in our pocket and has more processing power than the room-sized computers of the 60s. New technology has connected us in many ways, making it easier to communicate and get around. Over the past 175 years, we’ve seen an array of emerging technologies. Here are ten of the most significant technological advances since 1844. 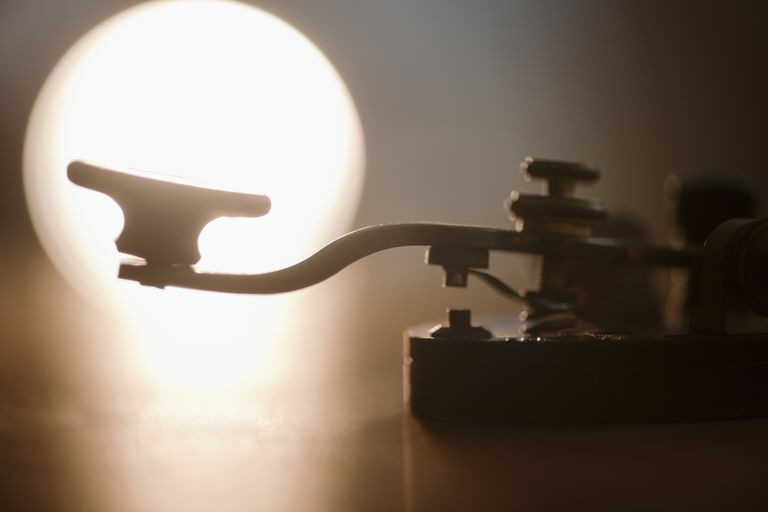 Just over thirty years after Morse sent the first telegraph, Alexander Graham Bell made the first phone call. His first words were: “Mr. Watson, come here – I want to see you.” (Mr. Watson was his assistant.) Eventually, Bell’s invention paved the way for making phone calls to people all over the world, not just in the next room. And now, of course, most of us carry a smartphone or cell phone with us every day. Before appointment TV and binge-watching, movie theaters were king. They’re still the best venue for seeing blockbuster films, but the invention of the television paved the way for the home entertainment we enjoy now. The first TV sets were black and white; then came color TVs and the ever-convenient remote control. Then in 1997, Fujitsu released the first Plasma TV, a four-inch-thick model that you could mount on the wall. Plasma eventually gave way to LCD and OLED technologies; in 2014 LG and Samsung discontinued production of plasma TVs due to lower demand. Now many people watch movies and TV shows on their smartphone, tablet or laptop, though flat-screen TVs are still popular. First arriving as what we'd consider today to be pretty rudimentary machines (or even as kits), they were computers in all sense of the word. Personal computers didn't take off in the personal sense until Apple introduced the Apple II line of computers in 1977. They were fully produced products you go into a store and buy along with software that expanded what it could do beyond simple programming. The first spreadsheet, ViscCalc, was available on the Apple II line. The personal computer we all know today exploded once IBM introduced it's product called the IBM PC in 1981. Once businesses adopted it, the entire industry expanded to produce all the products we know and use today. Launched in 1973, the Global Positioning System (GPS) became fully operational in 1995. Originally called Navstar GPS, the U.S. government owns it, and the U.S. Air Force operates it. The system can triangulate data and pinpoint your location, and it powers the GPS devices and apps that people use now to get around. It’s hard to imagine a computer without the Internet or the web. In the early eighties, ARPANET, a precursor to the Internet, was created with funding from the U.S. Department of Defense and the Advanced Research Projects Agency Network (hence the acronym). The network was shut down in 1990. The World Wide Web (WWW) became popular in the mid-90s, through services like AOL. It’s common for people to conflate the two terms, but the Internet is a global computer network running standardized communication protocols, while the WWW consists of public sites connected to the Internet. Thanks to GPS (see above), getting lost is becoming a more and more rare occurence. Now, most of us use GPS in the form of digital maps like Google Maps. You could say that Google Maps brought GPS navigation to your desktop (and eventually your mobile devices) making planning trips and exploring new cities and localities a breeze. Navigation software has evolved to include traffic information, transit schedules, and walking and biking directions so you can get from point A to point B any way you like. Technically, the first digital camera was invented by Kodak in the 1970s, but it took a while before the technology made its way into the ancestors of the products we use today. Kodak introduced its first professional digital camera in 1991, but it was a hybrid based on it Nikon film camera. By the mid 1990s digital cameras that weren't based off the body of a film camera were readily available (although the quality wasn't very good). Today digital cameras are everywhere from security cameras, to smartphones, and even in our more traditional laptop and desktop computers. Even the least expensive product with a camera embedded in it is far better than those cameras from the early days. Surfing the web was made more comfortable with the arrival of Mosaic, a web browser that was significantly more intuitive than its predecessors. Compatible with Windows, Mosaic was accessible to the masses, not just tech types, though Netscape Navigator eventually dethroned it. But we can thank Mosaic for giving us modern browsers like Chrome and Firefox. Love it or hate it (or both), but Facebook (initially The Facebook), which launched out of Mark Zuckerberg’s dorm room, was the first social media platform to gain worldwide popularity. From connecting with the people you went to high school with to planning protests against the government, Facebook brings people together. Of course, it also causes all sorts of strife including hate speech and “fake news,” which the platform struggles to contain. While smartphones existed in the early 2000s, it took Apple to bring it masses. Before Apple launched the iPhone, Nokia owned the cell phone game, and even had smartphone-like devices, but the user experience was lacking. And just one year after the iPhone's launch in 2007, Steve Jobs announced the App Store in 2008 which changed the game for good. Soon millions of people (and now billions thanks to Android and other operating systems) began installing software which extended the capabilites of the computer in their pocket. The preceding list is not exhaustive, but it includes some of the most memorable inventions and innovations of the last 175 years, and ones that affect our daily lives. So, what’s next? It could be self-driving cars, robot assistants, or something we haven’t even thought of yet. What Features Will Future Cameras Boast? Al Gore did not create the Internet. Do you know who did?